Confectionery coatings taste so incredibly rich and delicious, it’s hard to believe it’s not technically chocolate. But that’s actually not a bad thing. While all of our chocolate products are of the best quality and have superior flavor, confectionery chocolates offer even more flexibility while cooking. This is largely due to the substitution of vegetable oil for the cocoa butter found in genuine chocolate. 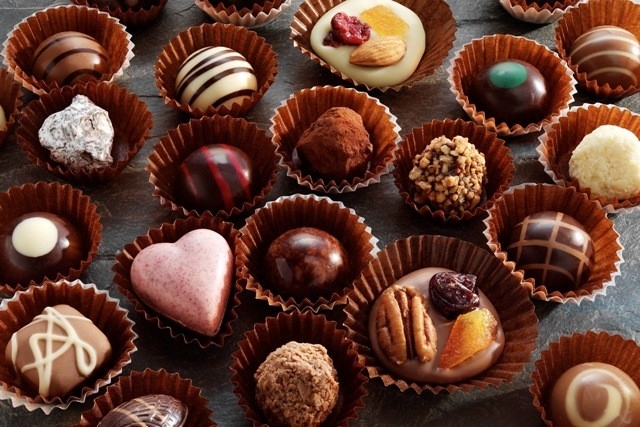 As a result, confectionery chocolate doesn’t need to be tempered, allowing for easy application and smooth distribution among other ingredients. We offer an extensive selection of wholesale confectionery options, including milk, dark, bittersweet and white chocolate. Royal Wholesale Chocolate understands the importance of quality confectionery chocolate in the enrobing, moulding and dipping process of any recipe, so we make it easy to buy wholesale confectionery products from the most well-known names in the industry like Peter’s, Ambrosia and more. Search our products for all of your baking needs and enjoy special discounts every time you buy.